Back for its third season at New York Fashion Week, the CFDA China Day initiative is featuring two streetwear brands – Peacebird Men and NPC, both of which have a huge following in China and are now ready to make their mark in the US. As an incarnation of China’s contemporary ‘Youth Culture,’ PEACEBIRD MEN offers a window into the world of today’s Chinese youth – what it means and sheds light on its hunger for unfettered design prepared to lightheartedly challenge the boundaries of fashion. Fresh individuality, independence and innovation – the trademarks of “Pacific Youth” are also the cardinal points at PEACEBIRD MEN that guide its young spirit. This season, PEACEBIRD MEN will present a distinct collection done in collaboration with world renowned artists Trevor Andrew (AKA Gucci Ghost) and Reilly (AKA Hey Reilly). 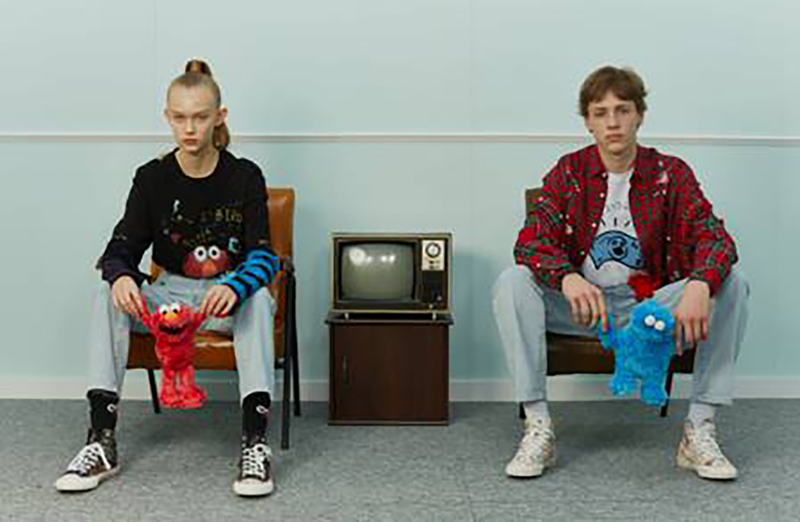 PEACEBIRD MEN will unveil their AW19 collection titled, “Youth Made China” with a collection submerging SESAME STREET characters in contemporary Chinese context. Established in 2009 by Nic Li, China’s leading VJ/TV host, and Will Pan, American-born Taiwanese Mandopop singer, rapper and Bell Awards actor, who have committed to “help the youth achieve their dreams through transforming their creative ideas into products,” NPC is the leading retail outlet in China offering complete wardrobe solutions to streetwear fanatics. NPC not only strives to advocate for traditional Chinese culture, but also stocks brands from all around the world, and is the window through which Chinese youth can keep pace with the latest in culture and trends from around the globe. NPC showcases the latest in fashion to local consumers, but also serves as a platform to promote Chinese brands abroad.